Well, it’s actually more of a food photo backlog. I worked on some of the actual food backlog at lunch today. Mealtimes (not to mention actually cooking) with a 13-month-old are interesting enough without pulling out a camera to photograph the food, so I feel like when I do manage to catch a shot of what’s on my plate, I should share it here, especially when it’s summertime and the eating is good. Not every meal warrants a post of it’s own, so here’s a little compilation, with a cute treat at the end. 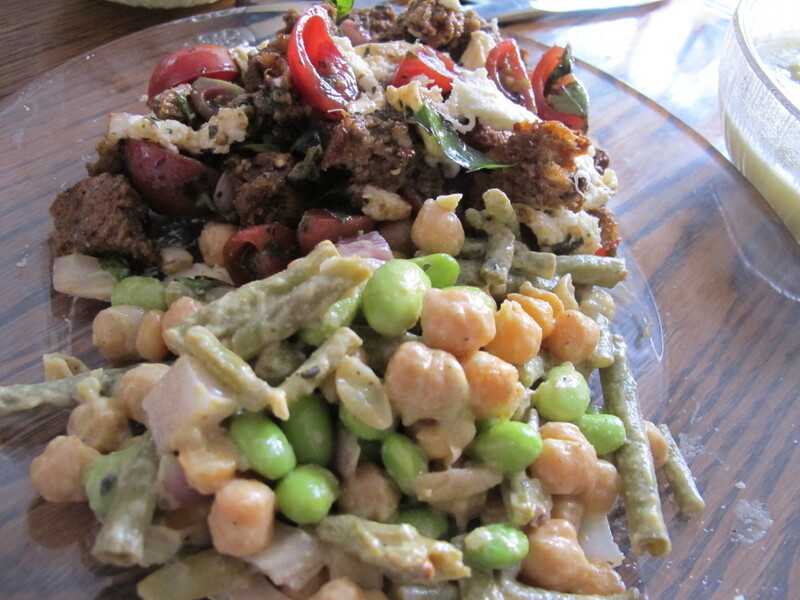 Some of our first good edamame crop in a three bean salad along with chick peas and green beans, with panzanella (i.e., bread salad) in the background. 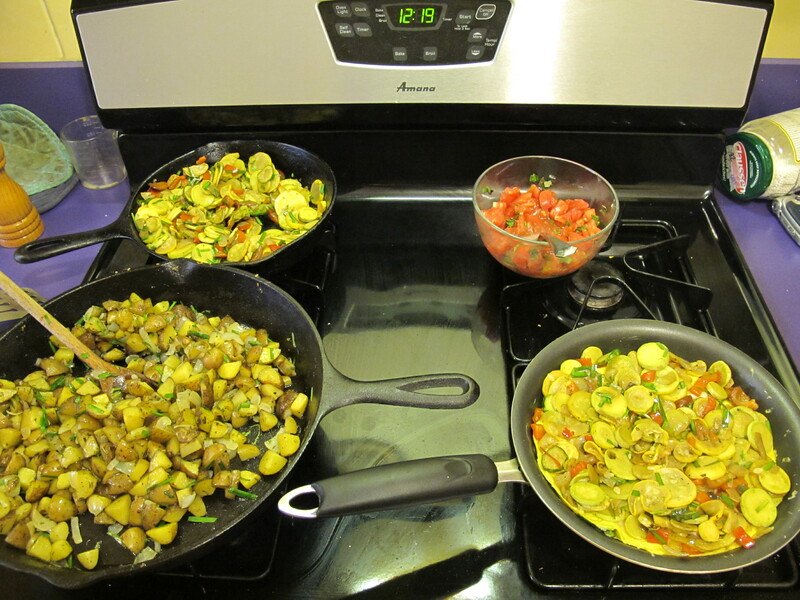 Sunday brunch (clockwise from top left): sauteed squash and pepper medley, tomato salad, omelet topped with sauteed veg, pan-fried potatoes. 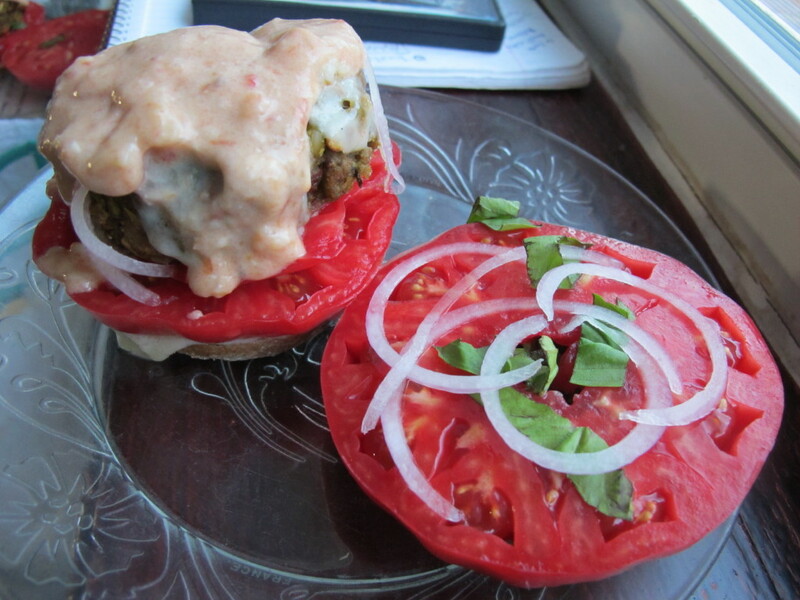 Split pea burger with our “magic sauce” on English muffin with tomato slices. 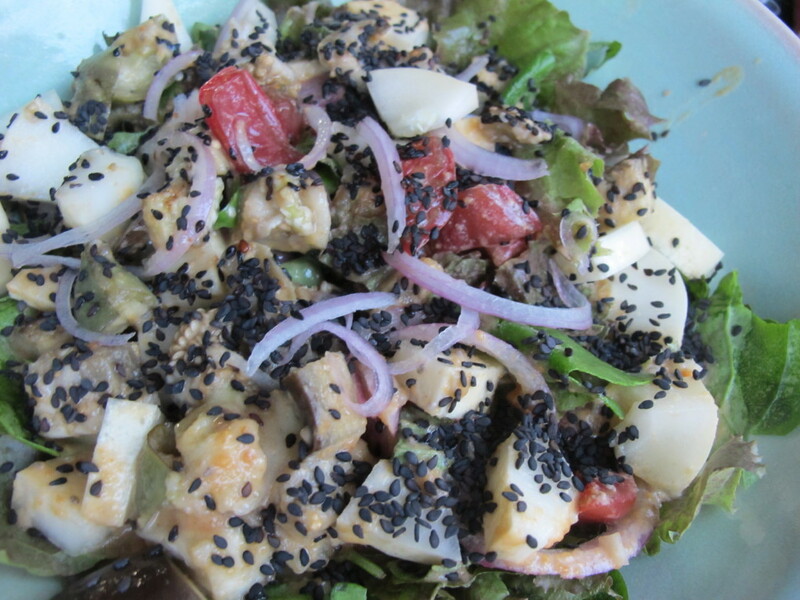 Big ‘ol salad with lots of fresh garden goodness, topped with black sesame seeds and a sesame-peanut dressing. And, finally, the treat . 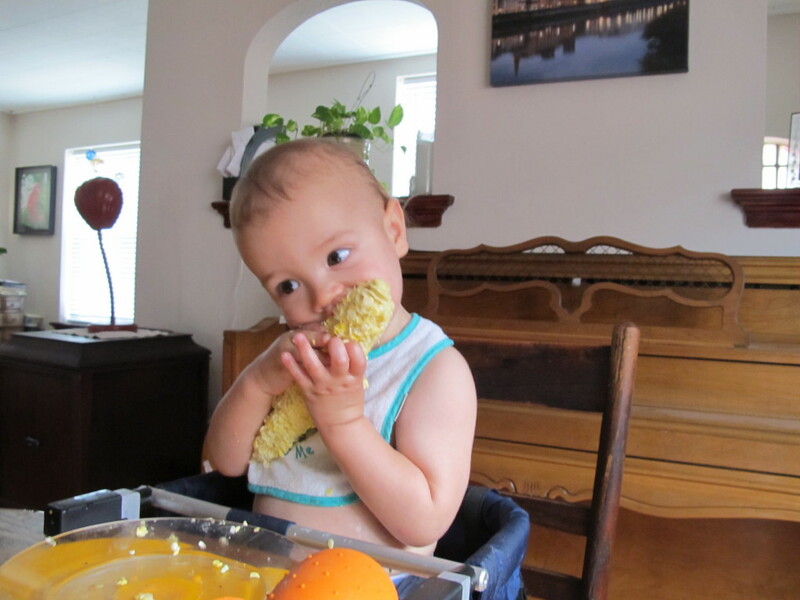 . .
Little Pookie discovered fresh corn-on-the cob. You could say that he enjoyed it. If he could talk, he would probably ask for some more right now. I finally made the pesto recipe you left on my blog. It was perfect! Thanks so much for sharing!